In this episode we hear from CEO and authority guru Steve Brossman. Steve is a former National Professional Track Champion and is the Author of two Amazon No.1 Best Sellers ‘Stand Up, Stand Out or Stand Aside’ and ‘The Authority Client Attraction System”. He has created several 6 and 7 figure businesses of his own, including inventing and marketing an environmental product selling 4 million units into 26 Countries. 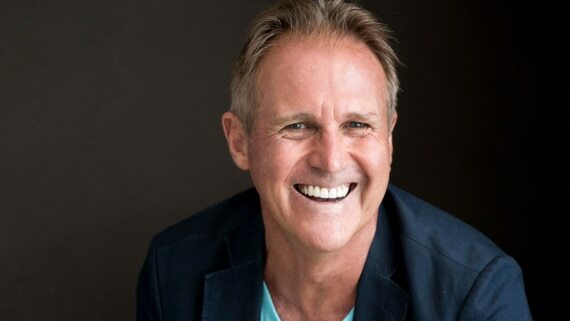 With over 20 years TV and video experience including hosting and producing his own TV Show on Ch 9 and appearing on TV in 5 Continents he is one of Australia’s most experienced Video presenter trainers. Steve has spoken in 15 countries and trained over 32,000 Speakers, Coaches and Business Owners to Stand out in their market. Recognised as real influencers Pam and Steve were invited to a high-level mastermind with Richard Branson on his own Necker Island. With a desire to help professionals overcome their fear of selling Steve has created the Blueprint Conversion System. This breakthrough program is changing the way professionals market and sell their services. Why do people fear sales so much? How do people build authority within their organisation or as a small business? What is it like working Sir Richard Branson on Necker Island? What is the biggest mistake people make in sales? What separates the top 1% of sales people from every other person? Check him out on LinkedIn here. An expert knows something, an authority is known for something. I do work in the corporate world, and with individuals as well. I try and teach them to be their own what I call a personal enterprise. That they've got to run their own business within the corporate. They've got to be seen as a leader and authority to stand out in that business. That person is the go-to person for something. Work out what is your own uniqueness, what you want to be known for. What are the outcomes that you deliver for the people in your own organisation, or for your clients and customers, if you're a business owner. I love bringing sporting analogies, and you'll appreciate this one, is that once they're known for that, and they're delivering and exceeding the delivery, exceeding the values that they're providing for other people, they need to do it in two ways. They need to do it in their playing field, and that's with and for people that they're interacting on a daily basis. That's providing great service, and it's other people seeing that they're providing great service. So that's down on the playing field, but what they also should be looking at is the perception from the stands. The people that may or may not be interacting, but potentially are going to be responsible for, or actually reporting to those responsible for that person getting a promotion, or getting up the corporate ladder. That's the thing, it's not the fear of selling. If you're selling yourself, if you're a professional, it's the fear of personal rejection. The philosophy is sell the system, not yourself. When you take it away from selling yourself, and I get them to pictorialize their system in a way that it is a graphic blueprint. Because we absorb images, verbal is linear. My definition of sales, and I heard it from a mentor many, many years ago, was professionally servicing other people's needs for a mutually beneficial gain. The people that just jump in, and just solve a need, are going to be just solving those needs. They're just order takers, and they're going to make much less sales. So the real good salesmen, elite salespeople, really understand more than just what the problem is. What is that problem causing? What are the emotional effects that that problem is going to cause? How can we solve all of those? They're the elite sales people. They take the time to understand more than just what they need to sell. The purpose is to take the viewer or the prospect along an emotional journey, where in the end, in their mind, they're making a logical decision to do whatever the next step is. If you've done it right, you've given them enough emotion. You've taken them on that emotional journey, but you still have enough facts in there, that in their mind they're making a logical decision. “I've got to do that. I've just got to have that,” and that's what it's all about. One of the biggest things that most people don't know is the way Richard Branson actually operates. He works in two hour shifts, and the way he works is he just gets paid to think. You access his brain, he has got two assistants beside him. They'll ask a question or outline something, and he will answer and go into that. They'll start reporting that while the other person asks a question, and he just gets paid to think. The other thing that's interesting about him, it's almost embarrassing. When he's talking to you, and particularly when you're just sitting there having breakfast one-on-one, you feel embarrassed, because you feel as if he's trying to pick your brain. You feel as if he's trying to learn from you, and he remembers. That's the big thing, is you learn to be present. That's why he is very successful. He is present, he listens, but all he does is he gets paid to think, not do.